We will hold a sign with your name on it inside the airport as we wait for you to clear customs after landing. Your luggage will be stored safely in our vehicle while we visit the sites. You don’t need to worry about slight delays or early arrivals as we monitor your flight’s status. Make the best use of your time! Don’t worry about delays- We will wait for you exactly 60 minutes after you actually land so you don’t have to stress about possible delays! Enjoy stress-free landing in Madrid and Travel in Style! This is the most popular option for those arriving at the airport. Discover all the highlights of Madrid from the comfort of the air-conditioned vehicle while we safeguard your luggage and take you to the hotel or back to the airport at the end of the tour. 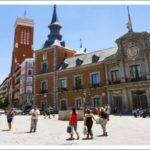 This tour is ideal if you have been to Madrid before and you are looking to explore something new. Take the half day tour to Toledo – a beautiful medieval town. Prepare for a fascinating city with spectacular architecture, churches, atmospheric alleyways, shops, restaurants, and more. 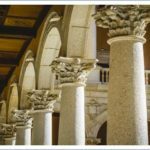 This is a full day tour of two medieval and Unesco heritage sites. 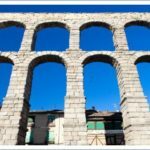 In Avila you will find the best preserved medieval walls in Europe and in Segovia one of the most impressive Roman aqueducts. Please note that we can get fully booked in the high season and therefore kindly suggest that you contact us early. Please use the short form below to find about availability and prices for your specific dates. Thank you and we hope to see you at the Madrid Airport soon!